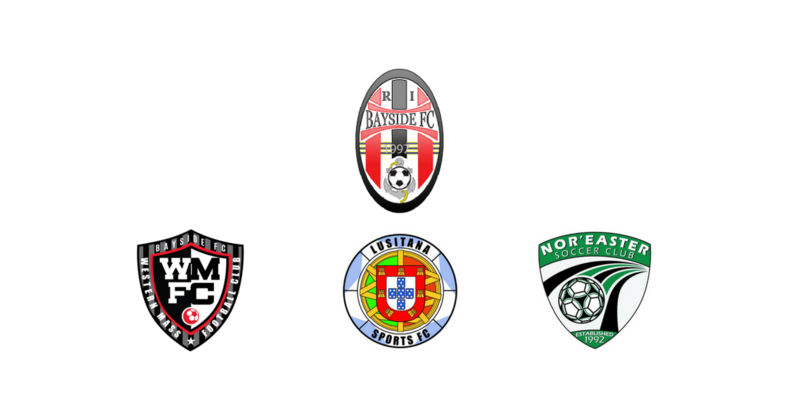 Bayside FC is proud to announce its alliance with Western Mass FC, Lusitana Sports FC, and Nor’easter Soccer Club. This alliance provides youth soccer players in the New England region with top-level training opportunities and competition. "We are thrilled to form a partnership with these three outstanding clubs. This affiliation is designed to provide top-level developmental opportunities for the top youth players in New England while expanding the footprint of Bayside FC. We are excited to share this goal with Western Mass FC, Lusitana Sports FC, and Nor’easter Soccer Club,” said John Mark Andrade, President of Bayside FC. Western Mass FC, Lusitana Sports FC, and Nor’easter Soccer Club join RI Strikers FC in this partnership with Bayside FC. As part of the alliance, Bayside FC will share coaching resources and curriculum with all three clubs in the development of both boys and girls youth players and coaches. “Both Western Mass FC and Bayside FC are built on strong foundations of player development and success, and this extraordinary partnership provides the best opportunities for our players to maximize their potential,” said Jon Scagel, President of Western Mass FC. “Lusitana Sports FC is tremendously excited about the new partnership with Bayside FC. This partnership will allow our players to compete at a higher level and in different leagues across New England as well as expose our players and coaches to the vast opportunities provided by Bayside FC,” said Victor Oliveira, President of Lusitana FC. “Nor’easter Soccer Club is looking forward to our new partnership with Bayside FC. This new chapter will strengthen player development, increase competition levels and stabilize competitive soccer in the Southeastern region,” said Mark Borges, Director of Coaching at Nor’Easter Soccer Club. Bayside FC and these three clubs will begin utilizing all of their resources to benefit its players effective immediately. For more information on Bayside FC, visit www.baysidefc.com. To learn more about our new affiliated clubs, click here!